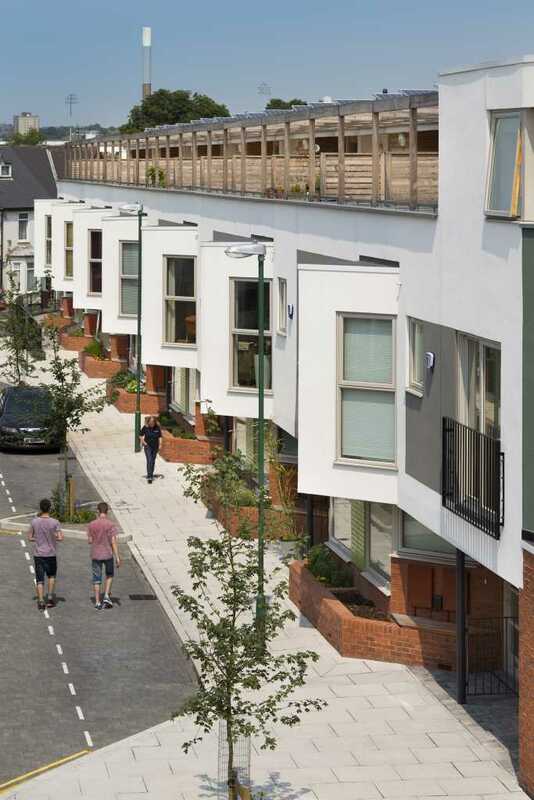 Green Street in The Meadows is an £8m sustainable housing project positioned next to the picturesque Victoria Gardens on Trent Embankment comprising 38 three and four bed low energy town houses designed by Marsh Grochowski architects. Formerly part of the Kings School, planning permission for the site was granted in September 2009 and construction commenced in January 2010. 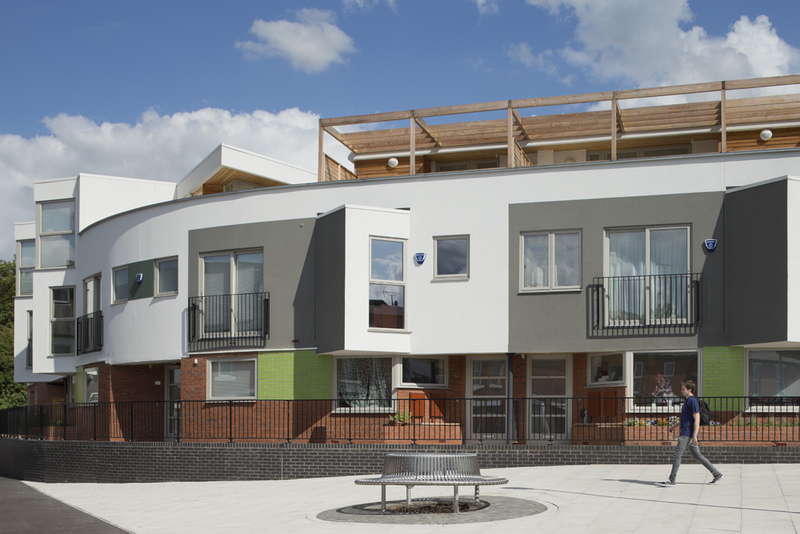 Completed in three phases up to 2012, the project proved a hit with the market and selling entirely off plan, leaving Blueprint unable to meet the additional demand at the time. 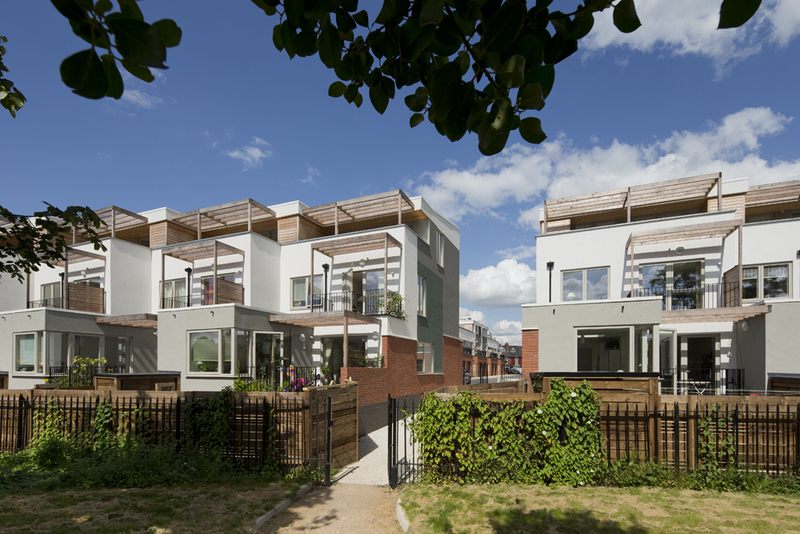 Green Street builds on Blueprint’s core values of design quality and sustainability, providing an exemplar of urban regeneration through the revitalisation of a disadvantaged neighbourhood. 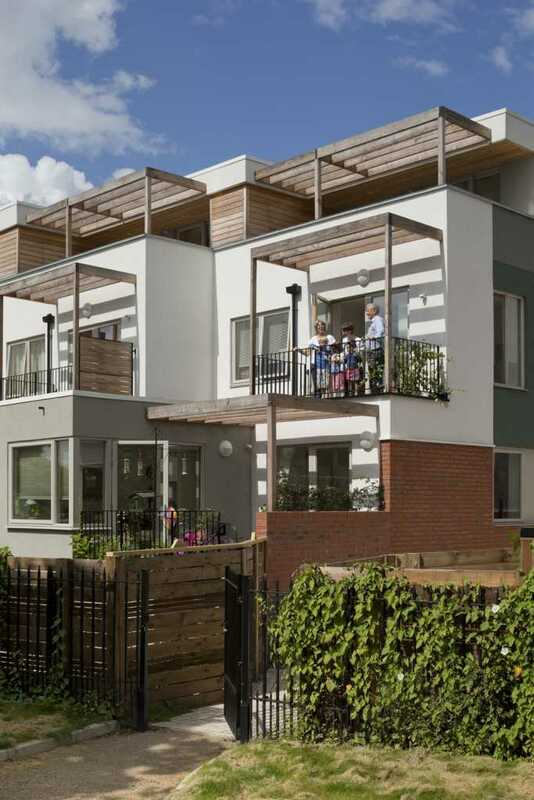 Sat on a 1.3 acre site, this Code 4 (Code for Sustainable Homes) scheme has excellent links to the river Trent, the train station and city centre as well as neighbouring West Bridgford. 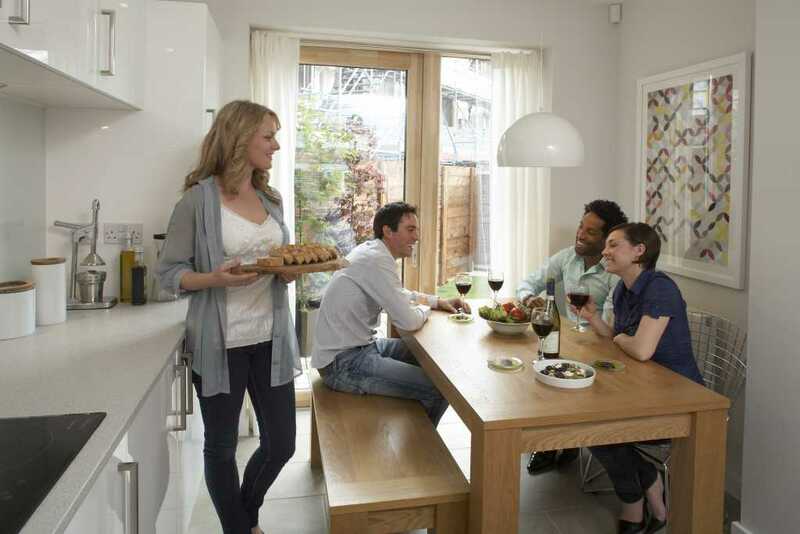 The homes mitigate the need for energy usage by virtue of their design, including super-high levels of insulation, whole-house heat recovery, industry leading levels of air tightness and maximum use of natural light. 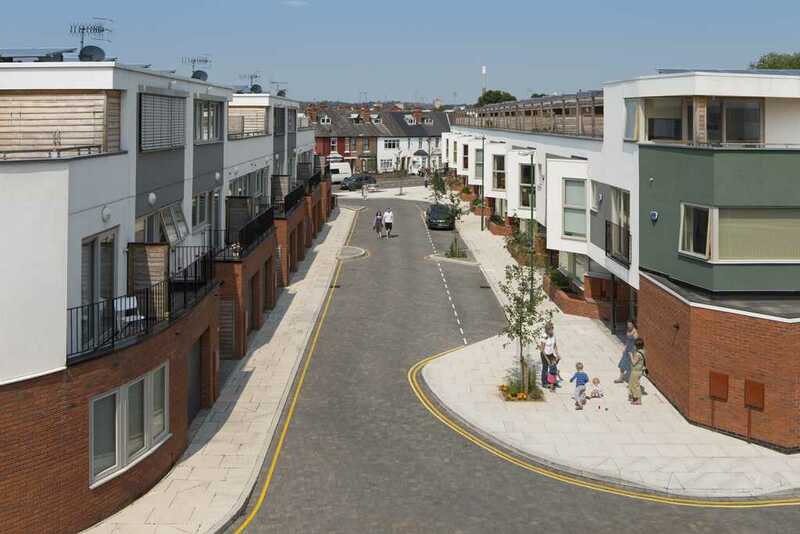 They also provide for a proportion of their energy requirements on-site through their roof mounted solar PV.